Don began his music career at the age of nine playing in his school band in Milwaukee, Wisconsin. Starting with brass instruments, then moving into drums and piano, by the age of 14 he picked up his first guitar. This is where he found his life’s harmony! 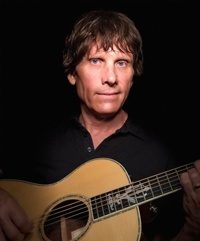 Through a kind smile and a soft-spoken demeanor, Thomas continues to share his love for acoustic music. His all original compositions are delicate, light and clean in structure, exquisitely mesmerizing. Following a two year national tour across America, he became inspired to advance his experience and the ability to share his own music by learning the art of production and recording. He trained and studied with various music industry professionals while dreaming of building his own recording studio.